Have you ever needed to set your camera down, even just for a moment, only to find that no matter where you set it, you risk it getting dirty, scratched, or worse? Gear Mat is a new company looking to make sure that never happens to you again. 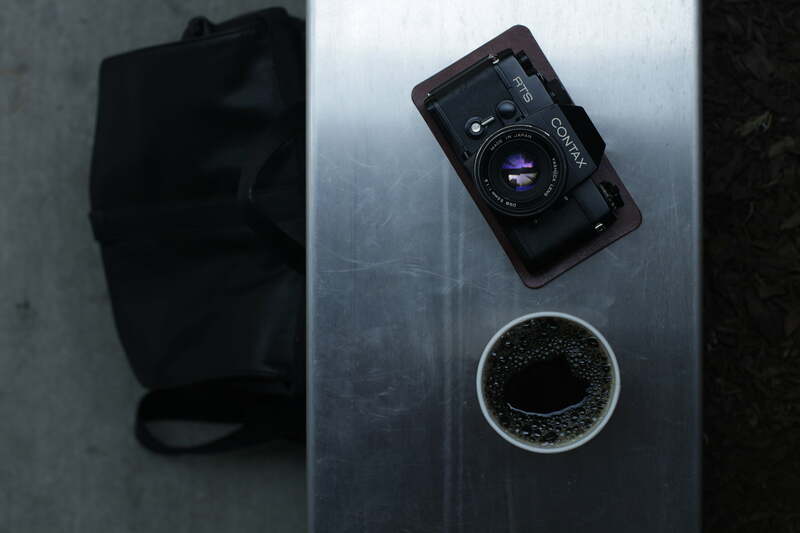 The product, at its essence, is a small piece of leather designed to be easily carried in a pocket and placed on any surface to provide a safe, yet stylish spot for your camera to sit. They come saddle-stitched with a custom monogram (free for June pre-orders) on natural, black, or brown leather. In total, there are eight variations to choose from — some monogrammed some not, some stitched some not, etc. The idea was the brainchild of Gear Mat founder Jordan Lockheart, who says the idea came to him after he started carrying around a dollar bill sized piece of scrap leather to act as a barrier between his camera and whatever surface he needed to place it down on. The company is marketing these leather mats to photographers who don’t want to bother carrying around a bag or case in order to protect their expensive camera. The mats, they say, can be carried around in a pocket and taken out if needed, and are lightweight and not bulky. Given the high price one pays to be a serious photographer these days, it’s no wonder people are looking for ways to protect their gear from any potential damage that could hurt its resale value in the future. The mats also have the added benefit of doubling as a drink coaster, while the raw suede underside is noted on the website as being an excellent screen cleaner. The pricing for these leather camera pads ranges from $16 to $25, depending on which variation you choose, with shipments expected to start on July 1.